BOSTON, MA -- On June 3rd, 2017, the Charles River Swimming Club hosted its Ninth One Mile Swim in the Charles River Basin. The race, which took place on a single loop course between the Massachusetts Avenue and Longfellow bridges, was the largest in the club’s history. This year's edition drew a large, enthusiastic crowd to the river, and sold out at 200 swimmers. Electronic chip-timing allowed for accurate, real-time results despite the race’s unique in-water finish. Conditions were challenging given cool air and water temperatures, a steady head-wind during leg one, and considerable chop. Regardless, many fast times were posted by local masters swimmers. Trent Staats of Charles River Masters was the overall winner in 23:12.1. Sarah Weas of Boston University Masters was the first female finisher with a time of 25:42.5. The Charles River Swimming Club is a non-profit organization that was founded in 2005 with the dual purpose of organizing competitive swimming events in the river and facilitating the return of public river swimming to the Charles. After a long history of pollution, the Charles has benefited tremendously from the Clean Charles River Initiative, which began in 1995. The river is now clean enough for swimming on most summer days, and the club hopes to raise awareness of this fact. Swimmers who are interested in either participating in next year’s event or in volunteering should visit the club’s website at www.charlesriverswimmingclub.org. 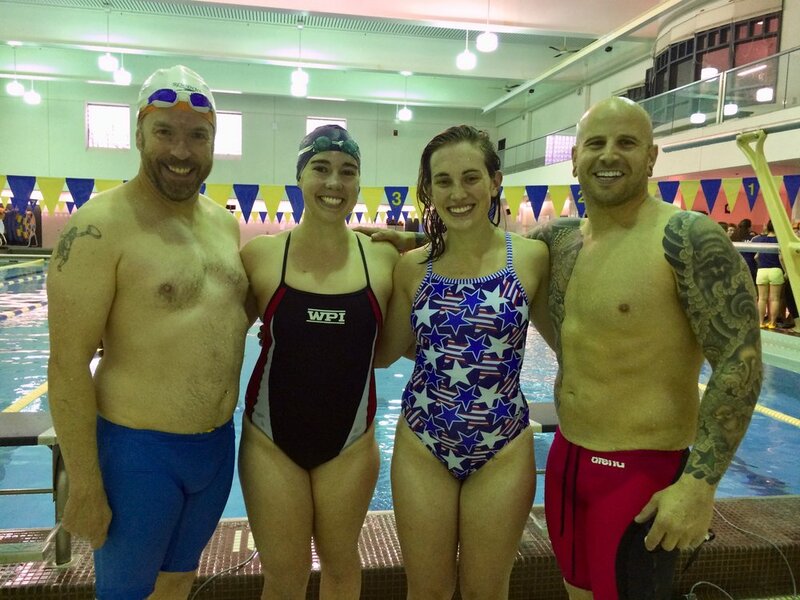 Those with specific questions about getting involved should contact Kate Radville, Charles River Swimming Club Vice President, Race Director, and Charles River Masters swimmer. The Club, which is run entirely by volunteers, would like the extend its gratitude to the swimmers and volunteers who made this year’s event such a success. We look forward to celebrating our tenth swim race in 2018! 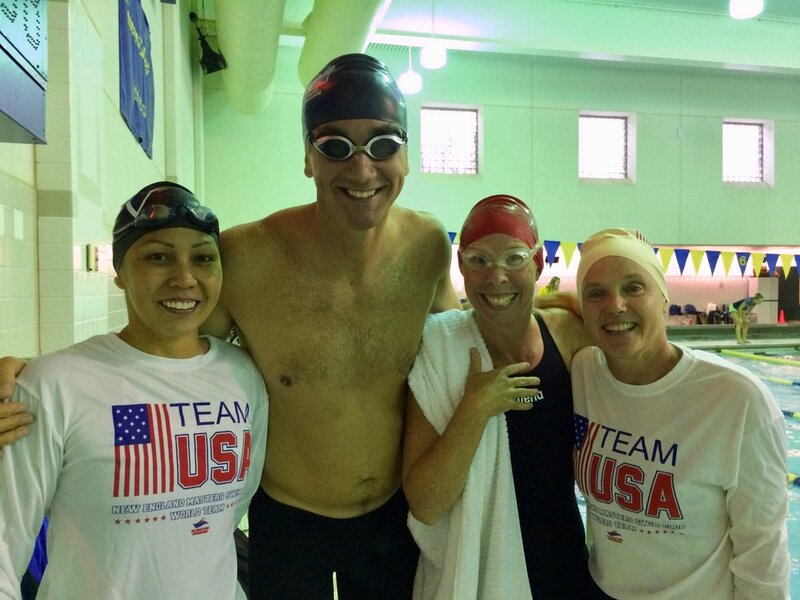 CAMBRIDGE, MA -- On Saturday, April 29, Boston's Liquid Assets (LANES) hosted the team's 7th Tea Party swim meet. Held at the renowned Zesiger Aquatic Center on the campus of the Massachusetts Institute of Technology (MIT), more than 150 masters swimmers from near and far spent a few hours in the pool racing and cheering each other on. 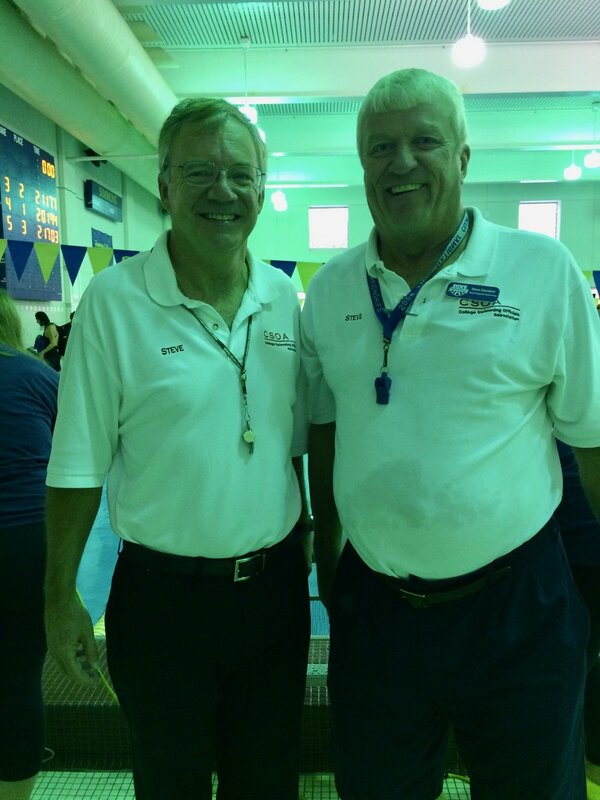 The biennial meet is one that we at LANES love hosting and it's always great to see so many folks at the pool. It's certainly worth noting that watching these dedicated swimmers all jump in the pool and go back and forth in unicorn floats was by far our favorite moment and made all the hard work of planning a swim meet well worth it! The meet itself could not have happened without the involvement of so many wonderful supporters, officials, volunteers, and the fabulous MIT crew who helped the meet run smoothly and quickly. We have also set up a Google Drive for everyone to share photos. Please go here to upload your photos from the meet and browse those from other people! Let us know if you have any questions or notice discrepancies at BostonLANESTP7@gmail.com. Also, please feel free to reach out to us there to share thoughts about the meet -- favorite parts or things we should work on, etc. Thanks again for your support and we will see you in two years for TP8! We promise another great meet, including another fabulous "Fun Relay", and a fun weekend. The New England LMSC Short Course Yard Championship is now accepting entries! The meet will take place at Harvard University, March 17-19, with distance day on March 11. More information and registration info available here. 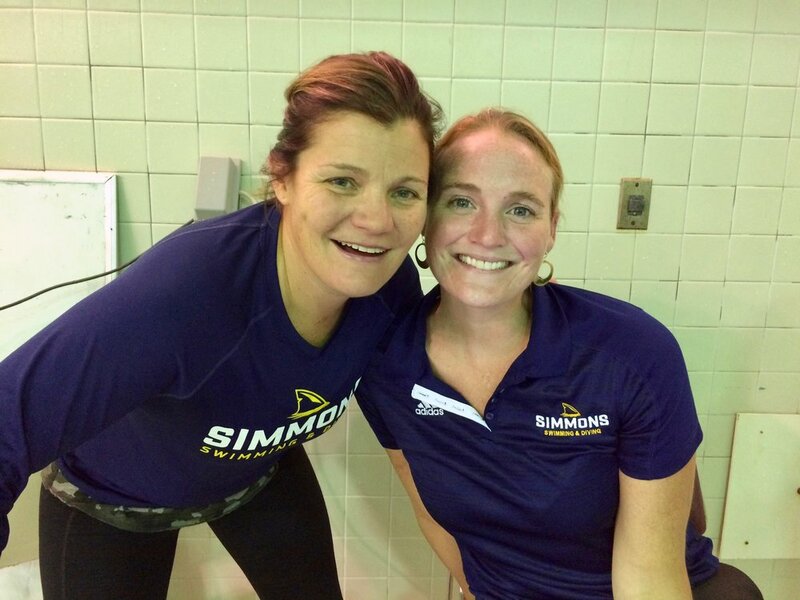 BOSTON, MA - Simmons College hosted the ninth edition of the October Swim Fest on October 15 in Boston. About sixty-five swimmers participated for a total of 190 splashes. The short course meters event is run by the Simmons College Swimming & Diving team and helps fund the team's winter training trip to Florida. There were certainly some fun and fast races! 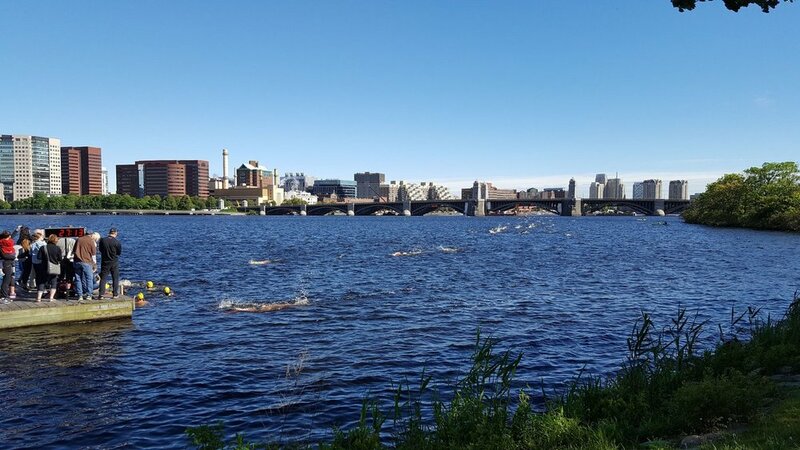 On June 11th, 2016, the Charles River Swimming Club hosted its Eighth One Mile Swim in the Charles River Basin. The race, which took place on a single loop course between the Massachusetts Avenue and Longfellow bridges, was the largest in the club’s ten-year history. This year's race drew a record number of swimmers to the river. The introduction of electronic, chip timing allowed for real-time results and an expanded field of 144 athletes. Conditions, including bright sun and flat water, were ideal for an open water competition. For the second year in a row, the top finisher was a woman. Alana Aubin (26) of Watertown, Massachusetts narrowly edged out Frank Wuest (56), of Boston, Massachusetts to earn her victory. Overall and age group winners earned gift certificates for a day of canoeing, kayaking, or stand up paddle boarding with Charles River Canoe and Kayak, one of the club’s generous sponsors, as well as "I Swam the Charles" pint glasses. The Charles River Swimming Club is a non-profit organization that was founded in 2005 with the dual purpose of organizing competitive swimming events in the river and facilitating the return of public river swimming. After a long history of pollution, the Charles has benefited tremendously from the Clean Charles River Initiative, which began in 1995. It is now clean enough for swimming on most summer days, and the annual swim race is organized in part to raise awareness of this fact. If you are interested in getting involved with the club as a volunteer or participating in upcoming events, please visit the club’s website at www.charlesriverswimmingclub.org. The club is run strictly by volunteers and would like to extend its gratitude to the swimmers and volunteers who made this year’s event such a huge success.